Pattern Health co-founder Ed Holzwarth awarded best demo at CED Tech Venture Conference in 2012; Also pictured: Joan Siefert Rose, Katrin Burt, Steve Case, Michael Goodmon. 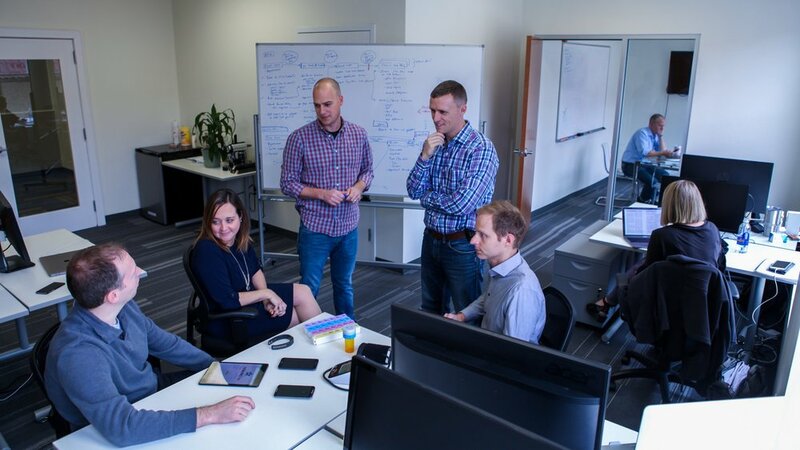 Pattern Health is a passionate team of technologists, clinicians and behavioral researchers whose vision is to make healthcare more efficient and effective by creating products that empower patient self-care and research. To accomplish this vision, we combine world-leading usability with world-leading behavior expertise to create evidence-based connected care. Our strategic partnership with Dan Ariely's Center for Advanced Hindsight at Duke University distinguishes our approach as evidence-based and informs the science behind our products that help people form healthy behavior patterns. Interested in joining our mission to build the future of connected care?